Quiz: Which are Healthy Fats which are Fats Deadly? Health Quiz: Which Fats are Healthy, Which are Deadly? Best for Belly Fat Weight Loss? The study of healthy and deadly fats has gone far beyond what the average doctor and the media have been telling us. What you know about fats may be turned "upside down!" Why? Fat biochemistry has come a long way since saturated was declared “bad,” unsaturated “good,” and cholesterol the all-time villain. TRUE or FALSE: low-fat DIETS are healthy. False: Fat is a necessary nutrient needed for the structure of each cell. The brain is made of 60% fat, and fat is also needed for the digestion and absorption of many nutrients. If you don’t eat enough fat, vitamins will pass right through the digestive tract without doing a bit of good, especially the fat-soluable antioxidants. 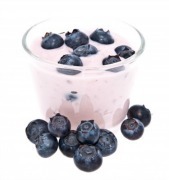 Low fat diets can speed the process of degeneration and aging. Healthy fats help regulate digestion and absorption of blood sugar, thus helping to prevent insulin resistance and diabetes. For best belly fat weight loss, do not eat ANY HYDROGENATED fats in muffins and processed foods. 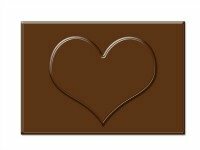 But the good news is that Dark Chocolate is high in fat, but does not make you fat! Eat the good kind that is low in sugar, and it will be a high blood pressure remedy too! True: According to Spanish researchers at the Lipid Clinic at Hospital Clinico in Barcelona, walnut are better. 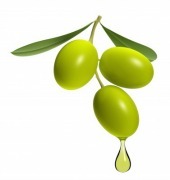 Spanish researchers compared olive oil and walnuts effects. By using ultrasound to check peoples' arteries, they were able to see that BOTH the olive oil and walnuts decreased the onset of inflammation and oxidation in the arteries following a high-fat meal. So both are good. But the walnuts preserved the blood vessels' flexibility while olive oil did not. 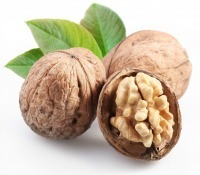 Lead researcher Dr. Emilio Ros, director of the clinic for blood fats, credits this healthy effect to the alpha-linolenic acid found in walnuts. This ALA is similar to the omega-3 fatty acids that are in fish and fish oils. False: inflammation, or C-reactive proteins are most predictive. CRP is an indication of INFLAMMATION. Fortunately, when USDA researchers instructed 18 men and women to add about 50 pitted cherries to their diet daily for a month, their CRP fell by 25%. Fish oils, walnuts and Tart Montmorency cherries have been found to have anti inflammatory benefits for the arteries. False: Both the media and doctors have promoted this line for the past 50 years, though most researchers now know it's totally simplistic and FALSE. The human body uses many types of fats, both saturated -- like coconut oil, beef fat, palm oil -- and unsaturated -- like fish and flax oil -- and each is used for different functions. Your body uses SATURATED fats for structure, for example, as the foundation of every CELL MEMBRANE. A natural SATURATED fat like beef fat or coconut oil or palm oil or butter is HEALTHY because these are relatively STABLE at moderate to high temperatures and do NOT form free radicals which are bad for your health. 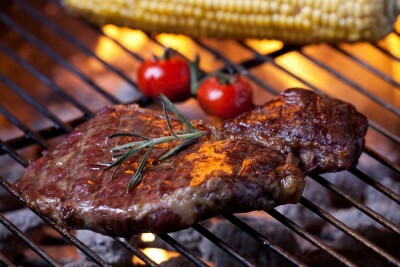 Saturated fats are NOT bad for your health. Even a fat like lard, which is a monosaturated fat is healthy in small amounts. There is a class of SATURATED fat that is a unique group called “medium-chain fatty acids” in tropical oils, e.g. coconut oil. These fats metabolize differently than BOTH saturated and unsaturated fats. The old studies that found coconut oil to be bad for your health were using HYDROGENATED coconut oil. Researchers have found a wide range of health benefits in coconut oil, including helping with weight loss, inflammation, thyroid function, heart disease etc. UNSATURATED omega 3 fat is important especially for proper brain function. BRAIN SYNAPSES, for example (the nerve to nerve connections) contain around 50% DHA which is an omega 3 fat -- think fish oil and walnuts. Extra fish oil is usually recommended for children, especially those that are hyperactive; anyone with ADHD, people with Multiple Sclerosis and for protection against Alzheimers. False: Eggs are especially good for young children and for the elderly. The cholesterol in eggs does not impact the small, dense LDL-3 through LDL-7 particles that are the greatest threat for cardiovascular disease risk,” says researcher M. Luz Fernandez from the University of Connecticut. And for babies and toddlers? "Prior to one year of age, egg yolks, dairy products (such as butter, yogurt and kefir), and liver should serve as the primary fatty animal foods,” according to Mary Enig, PhD, a world expert on healthy fats, who wrote the book called Nourishing Traditions. Eat more eggs as you get older? The elderly in particular need egg yolks to stay healthy. Why? 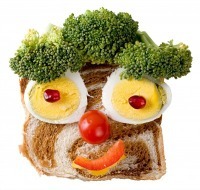 The lutein in eggs is better absorbed than the lutein in supplements. Lutein protects the eyes against Macular Degeneration, or AMD. 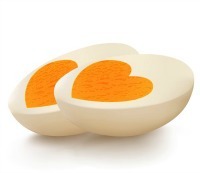 Eat More Eggs for Lowering Cholesterol Naturally? False: While trans fats are terrible for your health, most vegetable oils are not much better for you. Trans fats are terrible for your health. 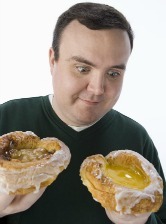 Trans fats have been found damaging even in very small amounts. When the FDA instructed scientists to set the allowable limit, the answer came back as NONE, in that they are dangerous even in very small amounts. Trans fats are strongly implicated in heart disease, depression, autism, immune dysfunction, obesity, diabetes---you name a disease, trans fats are probably involved. BUT any product that says "HYDROGENATED" or "PARTIALLY HYDROGENATED" should be avoided even if it says "trans fat free". Public pressure has forced many manufacturers to remove artery-clogging trans fats from their products. Some companies are replacing the trans fats with SOYBEAN, SUNFLOWER, SAFFLOWER, OR CORN OILS, which INCREASE the activity of proteins that TRIGGER INFLAMMATION. Canola oil is better, but extra virgin olive oil is the best. The kinds of oil you want to see listed on the label and cook with yourself are stable at high temperatures such as BUTTER AND COCONUT OIL. The average American diet has an IMBALANCE of way too much omega 6 fats (vegetable oils) and too little of the omega 3 fats (fish, flax, certain seeds and nuts). What is the problem? The ideal ratio of omega-6 to omega-3 fats is said by some to be 2:1 or 1:1. Our ancestors evolved over millions of years on this ratio. False: Children need the fats in milk for brain development and proper absorption of vitamins. Adults can also benefit. The vitamin D and fatty acids in milk may help reduce inflammation, according to two research studies. The first from Tufts University found that nonsmokers with the highest levels of vitamin D were 20% less likely to have bleeding gums—a sign of inflammation—than those with the lowest levels. Another showed that a type of fatty acids in dairy products may help inhibit proteins from creating an inflammatory reaction. If you don’t like to drink milk, you can eat healthy yogurts with healthy bacteria and vitamin D added. True: Fat cells secrete all kinds of inflammatory compounds. People who are over weight are much more likely to have a high level of inflammation. Belly fat weight loss is the hardest, so best to find what's best with weight loss tips for: Diet or exercise for belly fat weight loss?